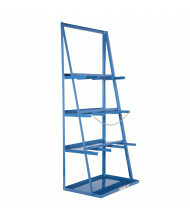 Open-Back Shelving Units: Open-back shelving is viewable from front or back for easier storage identification. 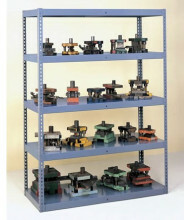 Heavy-duty models available for storing heavier items like tools and dies. 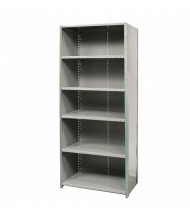 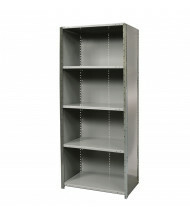 Closed-Back Shelving Units: The closed-back design provides a flush surface for stored items to rest against. 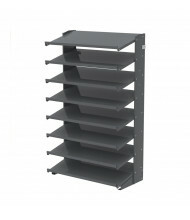 Adjustable shelves suit individual needs. 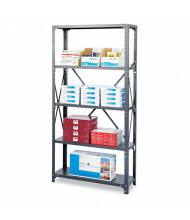 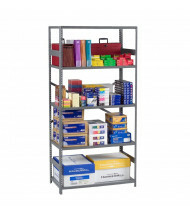 Maximum shelf capacities range from 250 to 1000 lbs. 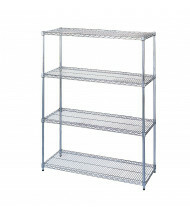 Wire Shelving Units: The open wire construction minimizes dust accumulation and improves visibility. 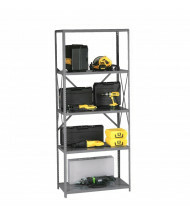 Available in multiple shelf configurations. 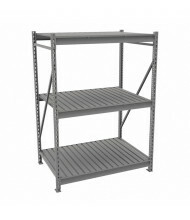 Storage Bin Shelving Racks: Makes organizing parts and supplies easy. 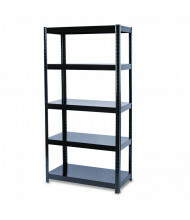 Durable steel construction ensures long-lasting use. 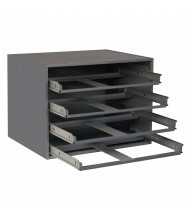 Different bin types handle a variety of storage needs. 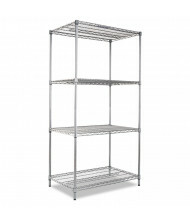 Total rack capacities range from 1650 to over 6000 lbs. 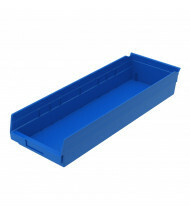 Storage Bin Pick Racks: Angled shelves keep parts and supplies at the front of bins. 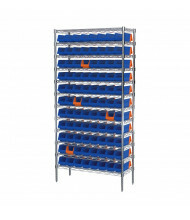 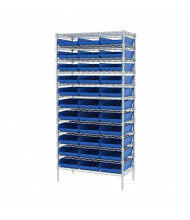 Single or double sided models are available to meet different storage access needs. 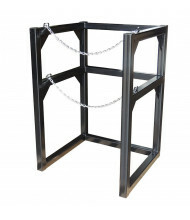 Total rack capacities range from under 500 to over 6000 lbs. 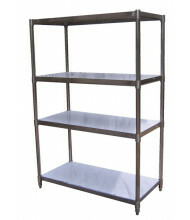 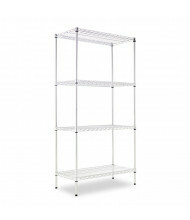 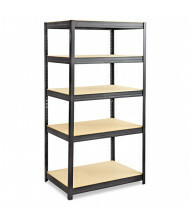 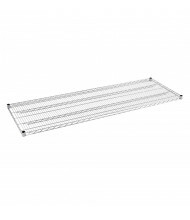 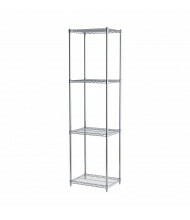 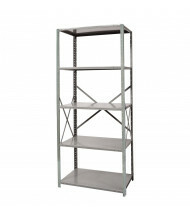 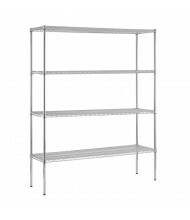 Other Shelving & Racks: Specialized shelving and racks designed for a variety of storage needs. 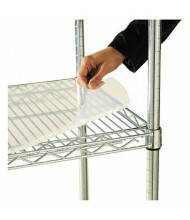 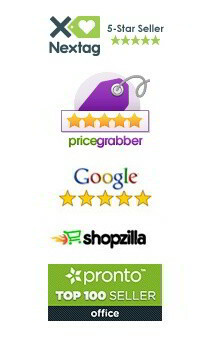 For metal sheets, wood planks, pipes, and more. 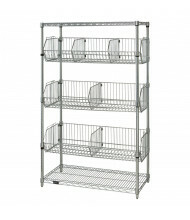 Available in multiple shelf configurations. 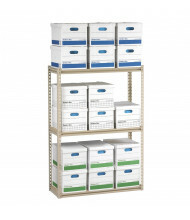 Plastic Storage Bins: Keep small parts and components organized with a wide selection of plastic storage bins. 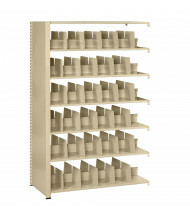 Available in multiple types, colors, and sizes for efficient organization. Shelving Parts & Pieces: Upgrade your shelving storage potential by adding more shelves or casters for mobility. 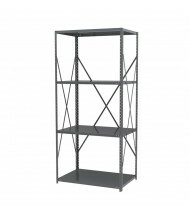 Other shelving parts include lock clips and hook bars.